Looking for a new place to live or just curious about what's on the market? Today we are looking at the penthouse unit in Tribeca's Cast Iron House. Cast Iron house is one of New York’s quintessential 19th-century cast-iron buildings originally constructed in 1881. This newly renovated building has a total of 13 units, including two exquisite penthouses. Prior to undertaking the extensive renovation, the Sponsor initiated the conversion process by removing and shipping every component of the building’s original façade to a foundry in Alabama, where it was re-cast to restore all original details from the original cast iron building. Both of the penthouses were strategically designed so that from street level, they appeared to be floating. This was achieved through the use of a steel cantilevered Vierendeel truss. 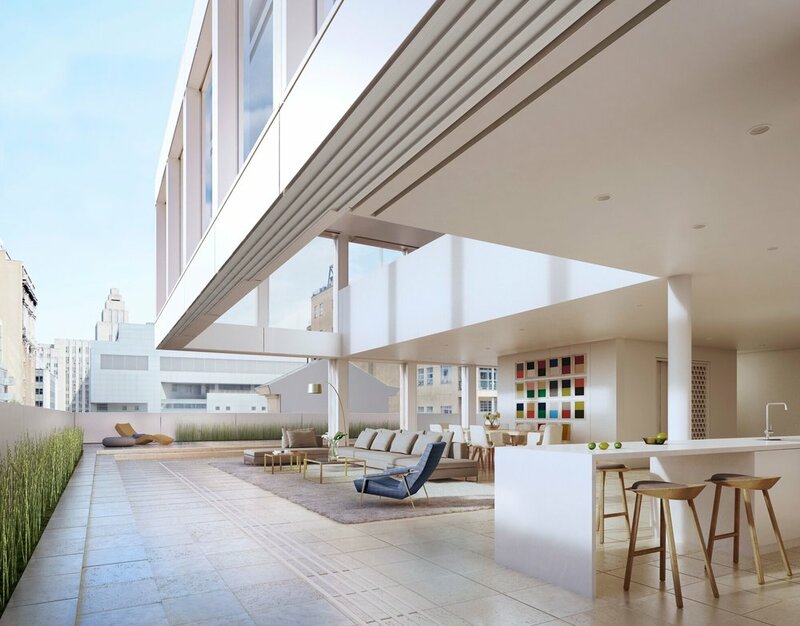 Both penthouse residences feature an open kitchen, living rooms, with double-height ceilings and over 1,400 square-feet of private outdoor space. Other amenities in the building include a 24- hour doorman/concierge, fitness center, hydrotherapy spa, children’s playroom and private storage. There is also a beautiful internal courtyard that owners have access to. Cast Iron House is in close proximity to various modes of transportation including a subway line around the corner, as well as excellent restaurants and shopping.